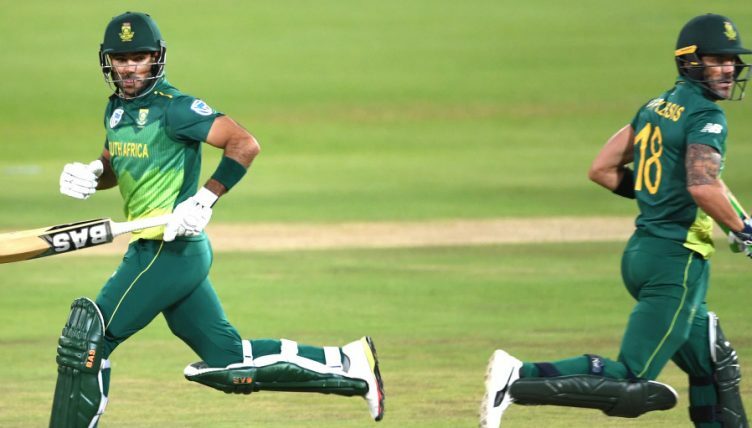 An unbeaten 83 from Reeza Hendricks guided South Africa to a 13-run win over Pakistan by Duckworth-Lewis-Stern method in the rain-affected third one-day international at Centurion. Only 33 overs of the Proteas’ reply were possible, but they were coasting at 187 for two in pursuit of 318 before the rain intervened. Quinton De Kock and Hashim Amla both made starts before they were dismissed in the chase, but Hendricks passed 50 for just the second time in his ODI career in an unbroken partnership of 108 with captain Faf Du Plessis (40 not out) to put South Africa 2-1 up in the five-match series. Imam-ul-Haq had earlier anchored the Pakistan innings with his fourth ODI ton, the opener making 101 with support from Babar Azam (69) and Mohammad Hafeez (52) as the tourists posted an impressive 317 for six from their 50 overs. South Africa will look to seal the series in game four at the Wanderers on Sunday.